The end of the block plane with the maker's mark. The block plane, considered the workhorse in many shops, is shorter than the smooth plane. It was often used on the end grain of a piece of wood. Similar to the smooth plane the iron is held in place by the slanted wedge. 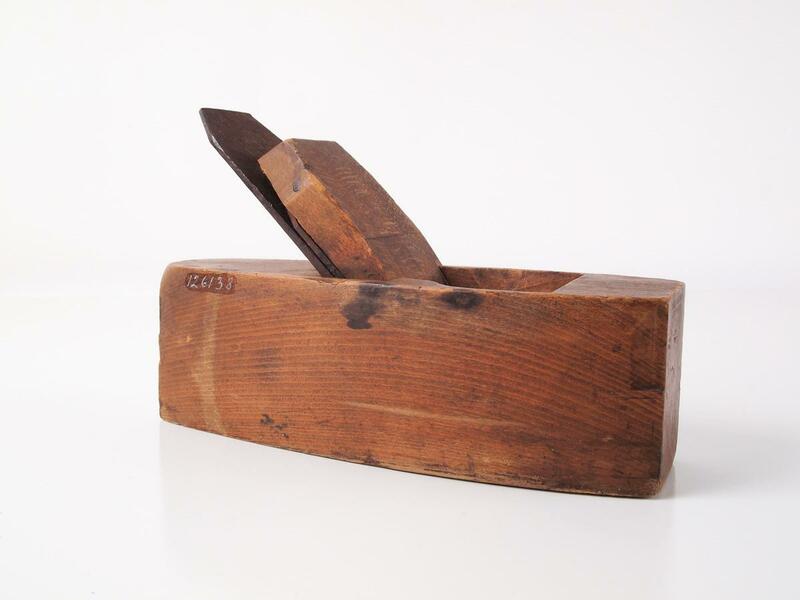 The block plane was made by the Casey Clark Co. of Auburn NY, which later became the Auburn Tool Co. 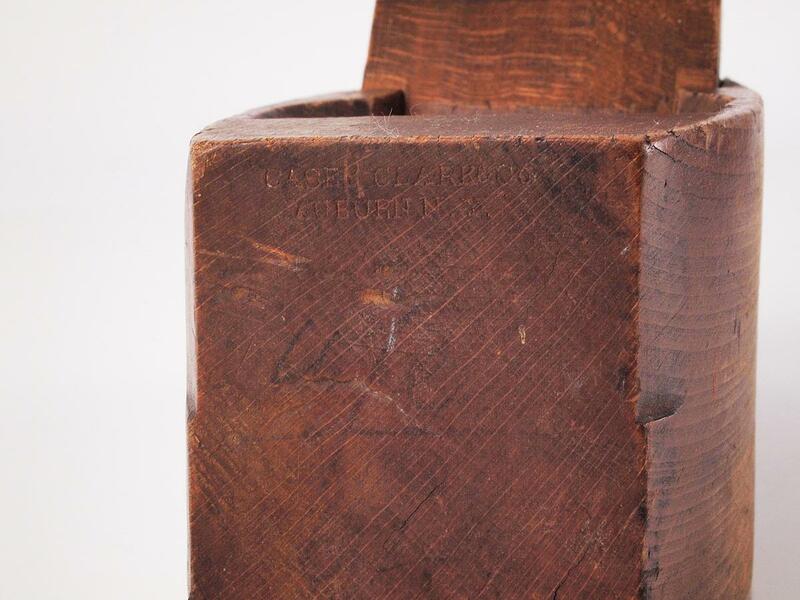 The number at the far left, 126138, in the Public Museum's accession number.